RONKONKOMA, NY – 08-21-2018 (Press Release Jet) — UltraFlex Power Technologies will be unveiling their breakthrough innovation in induction heating technology – the UltraFlex SmartPower™ System to the North American market. This latest addition to the UltraFlex suite of induction heating products will be showcased at IMTS on September 10-15, 2018 in Chicago. 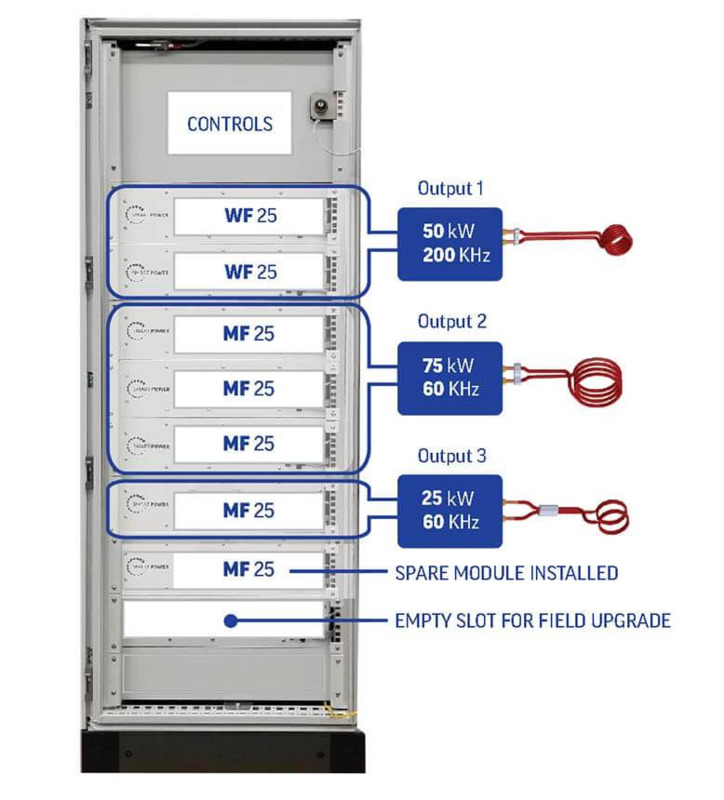 UltraFlex SmartPower has been designed to be upgradable and to support multiple outputs to better meet the changing requirements in the manufacturing industry. The system can include one to eight 25kW modules, and the modules can be combined to heat one or more different loads. Each output allows for individual configuration of power and frequency ranging from 25kW to 200kW and from 6 kHz to 400 kHz. The system features Direct Digital Step™ control algorithm and a unique, patented and configurable modular approach. The latest SiC transistor technology and proprietary digital control algorithms ensure optimal performance and maximum efficiency within the wide frequency range. UltraFlex SmartPower comes with multiple induction heating programs and profiles for automatic process control, built-in temperature control and monitoring, high accuracy cycle-by-cycle energy monitoring, an industrial touch screen panel with remote control and diagnostics features and much more. With an additional module installed in the system, zero down time can be achieved. Finally, this UltraFlex solution has significantly reduced size and weight, saving floor space and shipping costs. To see the latest industrial heating innovation by UltraFlex and meet the UltraFlex team, stop by our booth #236244 at the IMTS Show, September 10-15. 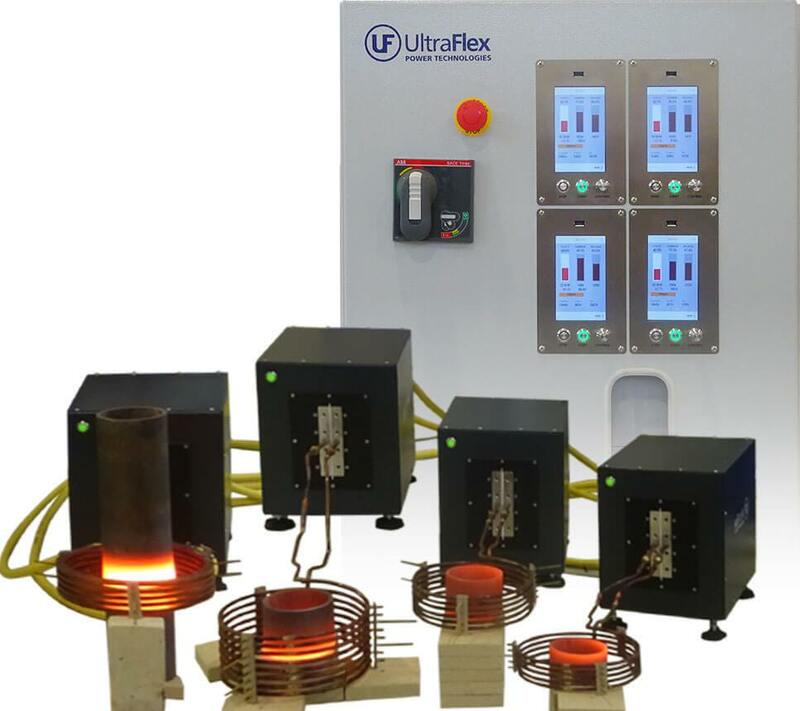 UltraFlex Power Technologies offers the most advanced and innovative digitally controlled induction heating technology in the industry. Our compact modular and flexible systems are suitable for a wide variety of induction heating, casting and melting applications. For the original news story, please visit https://pressreleasejet.com/news/ultraflex-power-technologies-will-be-introducing-a-breakthrough-in-induction-heating-technology-smartpowertm-at-imts-2018.html.